A grocery store does not only influence the overall image of a shopping centre, but – as shown by studies carried out by Inquiry – it is, for visitors, one of the most significant elements of a shopping centre. 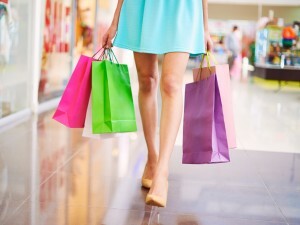 A grocery store is one of the key reasons for visiting a shopping centre and, because people generally shop for groceries more frequently than for clothing or durables, it is a major driver of footfall and impulse or unplanned purchases from other retailers or catering outlets. 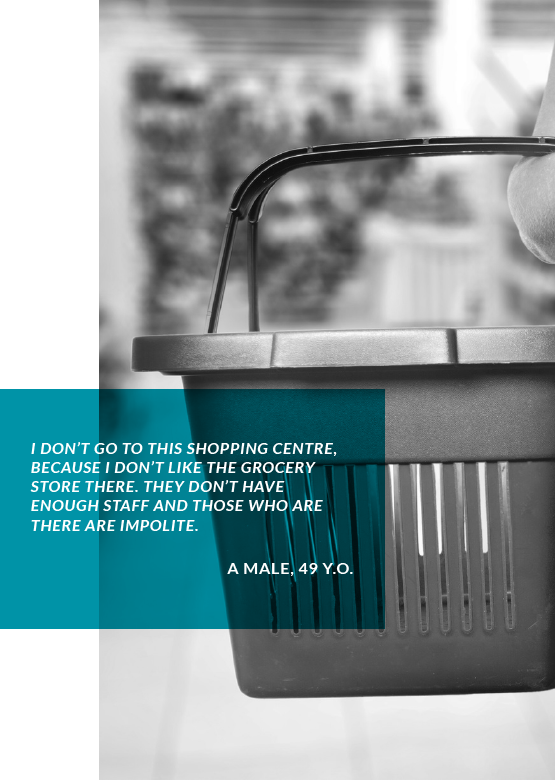 Depending on its size, as many as half of its customers may declare that they have visited a shopping centre to buy food. 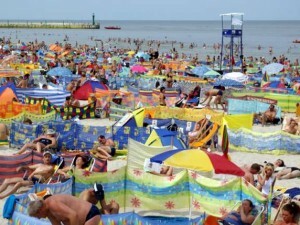 The situation is different for retail parks situated in small towns (below 50,000 inhabitants). 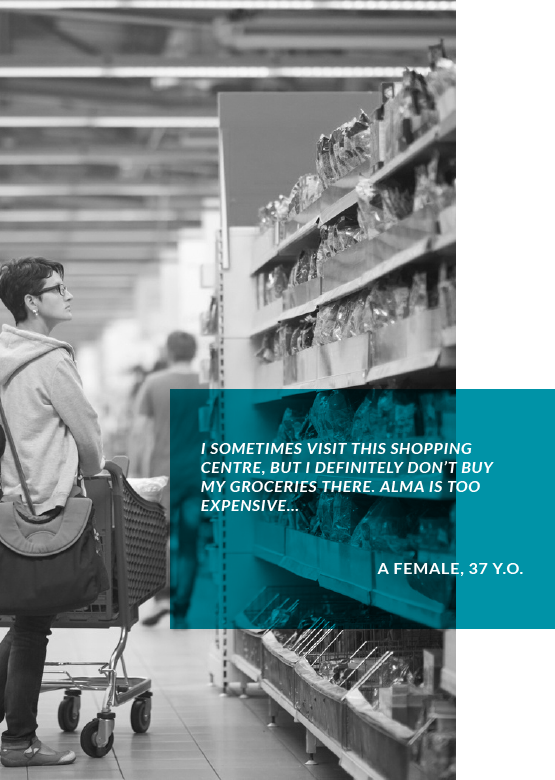 According to the report ”Small towns, huge shopping?”, prepared by Colliers International and GFK, in a small town a grocery store is no longer the main reason for visiting the centre, and residents prefer to do their grocery shopping in discounters. The situation of large fashion-oriented shopping centres, such as Warsaw’s Galeria Mokotów, is different again. Because of the differences in the product range offered by food retailers, sometimes two grocery stores, representing different segments, co-exist in the same shopping centre, e.g. a supermarket and a discounter. 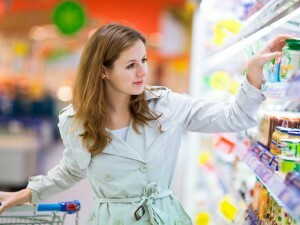 Their complementary offers cover the needs of different segments of shoppers. An example of a shopping centre applying this operational model is Galeria Sfera in Bielsko–Biała, with the successful co-existence of Piotr i Paweł and Biedronka. 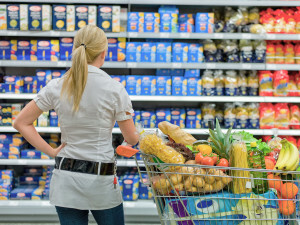 At the same time, the differences between individual retail formats have been disappearing in the food sector (private labels in premium deli stores; a wide range of exclusive products offered by discounters), which may endanger the future of this model in the long term. or even an unpleasant smell in the store. That’s why, when choosing a specific grocery store tenant, it is worth having a closer look at its product range and image. As shown in studies carried out by Inquiry, tenants such as Piotr i Paweł and Alma position a shopping centre as a destination for more affluent customers, while the presence of Auchan or Tesco results in customers perceiving the shopping centre as being more affordable and offering lower prices, even if the range of tenants in other categories is similar, which is frequently the case in Poland. An analysis of the impact of these factors on the overall perception of a shopping centre allows its management to adjust their grocery choice according to their the format. However, sometimes it’s the grocery tenant who will adjust its store to fit the profile of the shopping centre customer – as in the case of Carrefour in Warsaw’s Arkadia, which has an affluent shopper base. Along with the development of retail formats, we will see different operational models of grocery stores in shopping centres in the future. It is worth paying particular attention to specialist formats – bakeries, convenience stores, healthy food/organic stores, sellers of foreign products – appearing alongside the classic one-stop shops.